This chapter deals solely with the law applicable in Denmark, but the maritime systems in the Faroe Islands and Greenland are almost identical (based on Danish legislation) and with appeal to the Danish High Court. The Merchant Shipping Act (MSA)8 constitutes the main legislative framework for Danish maritime law and is to a large extent based on international maritime conventions such as the Hague-Visby Rules, the Hamburg Rules, the LLMC Convention 1976, the CLC Convention, the 1989 Salvage Convention and the Nairobi WRC 2007. The MSA is supplemented by the Administration of Justice Act (AJA)9 on general procedural issues and other acts on particular areas of law. In addition, EU law is increasingly of relevance, in particular in relation to the carriage of passengers and in respect of safety, offshore and environmental matters. The Danish Maritime Authority, an agency under the Ministry of Industry, Business and Financial Affairs, regularly issues circulars and guidelines that regulate most aspects of the shipping industry – ship safety, navigation, seafarers and manning, as well as ship registration, being its core areas of responsibility. For further information, see www.dma.dk. The international competence of the Danish courts, in relation to maritime disputes, will in most cases be determined by Regulation (EU) No. 1215/2015 (Brussels I bis Regulation) which apply in Denmark, irrespective of the Danish opt-out to the EU’s judicial cooperation, pursuant to an agreement between Denmark and the European Union entered into on 19 October 2005.12 The Brussels I bis Regulation is supplemented by the AJA, in particular Chapters 21 and 22, and certain provisions in the MSA covering specific instances, such as carriage of goods and marine pollution. The limitation periods for maritime claims are set out in Chapter 19 of the MSA. The limitation period vary from one to three years depending on the type of claim. By way of example, the limitation period for claims for salvage and special compensation is two years from the day on which the salvage operations were terminated and one year in relation to maritime liens and actions under a bill of lading. As for claims that are not listed in the MSA, the generally applicable limitation period under Danish law is three years from the due date of the claim.13,14 The claimant’s unawareness of the claim or the debtor may suspend the limitation period by a maximum of 10 years or, for claims relating to personal injury and environmental damage, 30 years. The Danish Institute of Arbitration resolves commercial and maritime disputes through confidential arbitration and mediation procedures. The Institute was established in 1981 and is based in Copenhagen.15 In maritime disputes, it is also very common with ad hoc arbitration. Arbitration proceedings are governed by the Arbitration Act16 (AA), which is based on the 1985 UNCITRAL Model Law. A draft bill to update the AA based on the 2006 Model Law amendment has been prepared by an expert committee, but is yet to be presented before the Danish Parliament. 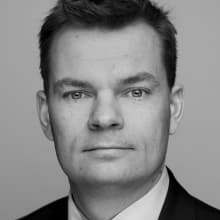 A new Nordic Offshore and Maritime Arbitration Association (NOMA) was established in late 2017 by leading forces in the maritime sector, including specialised lawyers and trade associations from the Nordic countries. The NOMA specialises in maritime disputes and is expected over time to become the preferred resolution body when dealing with maritime disputes. The NOMA’s rules are based on UNCITRAL Arbitrations Rules, as amended to fit international maritime disputes. Under Sections 223a and 479 of the AJA, the Minister of Justice has the authority to lay out provisions on the recognition and enforcement, respectively, of foreign judgments. However, this authority has never been used. Apart from a few provisions on specific types of cases, there is no generally applicable statutory basis for the recognition and enforcement of foreign judgments. However, based on recent case law, it has been asserted in Danish legal literature that foreign judgments might in some instances be recognised if the parties had agreed upon the jurisdiction of the foreign court issuing the judgment. In May 2017, a bill was adopted in Parliament regarding the ratification of the 2005 Hague Convention on Choice of Court Agreements. Following this adoption, judgments from Mexico, Singapore and other contracting states can also be recognised and enforced in Denmark, provided that the parties to the dispute have agreed on jurisdiction of the foreign court in question. Once set in force, the convention will in part supersede the Brussels 1 bis Regulation. Under Danish law, shipbuilding contracts are subject to the general principle of contractual freedom. Thus, the parties to a shipbuilding contract will have considerable latitude to enter into a contract on individually negotiated terms. Often, this will be based on a standard form of shipbuilding contract, such as BIMCO’s NEWBUILDCON 2007, or the parties’ own templates. Shipbuilding contracts are generally regarded as sale of goods contracts and are regulated by the Sale of Goods Act (SGA).20 However, the SGA only applies to the extent that the parties have not departed from its provisions in their contract. Given the detailed nature of most shipbuilding contracts, the SGA will most often not be applied. Chapter 13 of the MSA governs contracts of carriage, based on the Hague-Visby Rules, including the 1979 SDR Protocol, which Denmark has ratified. Although Denmark has not ratified the 1978 Hamburg Rules, these have in part been incorporated in the MSA. Denmark has signed but not yet ratified the Rotterdam Rules. Under Section 262 of Chapter 13 of the MSA, the carrier must perform the carriage with appropriate care and dispatch, and otherwise safeguard the interests of the cargo owner. The obligations and liability of the shipper are regulated in Section 290 of the MSA, which follows Article 12 of the Hamburg Rules. Pursuant to Section 290 of the MSA, a shipper is only liable for loss sustained by the carrier or the sub-carrier that is caused by the fault or neglect of the shipper or any person for whom he or she is responsible. The same applies to any person for whom the shipper is responsible. Danish law on liability for cargo claims and bills of lading are based on the Hague-Visby Rules. These apply mandatorily for transports between the Nordic countries and as set out in the Hague-Visby Rules. Claims for damage or loss to cargo and for delay can be brought by the lawful owner of the bill of lading against the carrier. The carrier is liable for any loss, damage or delays to the cargo caused while the cargo was in the carrier’s custody.21 The carrier can counter this presumption of negligence and avoid liability by proving that the carrier and its crew acted with due care in the carriage of the cargo. Further, a number of exemptions from liability apply.22 The carrier is not liable for losses caused by measures to save persons or reasonable measures to salvage a ship or other property at sea.23 If the carrier’s negligence is not the only cause of damage, it is only liable for the part of the loss attributable to its negligence.24 The carrier is not liable for loss because of error in navigation or fire that was not caused by the carrier,25 unless the loss was caused by unseaworthiness.26 An exclusion of liability for deck cargo and transport of live animals is set out in Sections 263 and 277. The carrier is entitled to limit liability for cargo claims.27 Liability can be limited to the higher amount of 667 special drawing rights (SDRs) per package or 2 SDRs per kilo of cargo lost or damaged. The limitation period for claims for compensation under Sections 275 and 276 of the MSA is one year from the day on which the goods were delivered or should have been delivered. Chapter 9 of the MSA, which is based on the Convention of Liability for Maritime Claims of 1976 as amended by the LLMC Protocol 1996, governs the rights for owners, charterers, managers and operators of a vessel to limit liability for claims arising in connection with the use of the vessel.28 The claims for which limitation applies (including damage to property and personal injury, and loss resulting from delay) are listed in Section 172, whereas the claims that are excluded from limitation (including claims for salvage and damage from oil pollution) are listed in Section 173. The limits for liability in the MSA have been amended in accordance with the 2015 increase to the LLMC Convention.30,31 The increased limits apply to all incidents occurring on or after 8 June 2015. Under Section 175(1) of the MSA, claims for death of a vessels own passengers are limited to 400,000 SDRs times the number of passengers. for every tonne above 70,000 tonnes, by 604 SDRs. for every tonne above 10,001 tonnes, by 1,000 SDRs. These special limits for wreck removal claims do not apply to passenger vessels which, according to the legislative preparatory works, is because passenger vessels are only seldom involved in major casualties. for every tonne above 70,000 tonnes, by 302 SDRs. These limitation amounts do not apply to claims relating to oil pollution from tankers, as these may be limited pursuant to Section 194 of the MSA (based on the CLC Convention) to between 3 million and 59.7 million SDRs, depending on the vessel’s tonnage; this is discussed further in Section VI.iv. As regards passenger injury or death, owners may limit their liability to 400,000 SDRs per passenger on each occasion (injury or death) under the Passenger Liability Regulation (PLR),33 Annex I, Article 7. As for other personal injury claims, the general applicable limits under the LLMC apply. Sections 177 to 180 and Chapter 12 of the MSA set out the procedural rules for establishing a limitation fund. Under Danish law, a vessel may be arrested either under Chapter 4 of the MSA, which is based on the 1952 Brussels Arrest Convention, as security for ‘maritime claims’, or under Chapter 56 of the AJA for other claims. In cases where the MSA applies, the rules in Chapter 56 of the AJA apply only to the extent that the rules do not conflict with the MSA (Section 96). Arrest falls under the jurisdiction of the Danish bailiff courts, which are located at each of the 24 district courts. Under the MSA, a vessel can only be arrested as security for a ‘maritime claim’ (listed in Section 91 of the Act) against the owner and only if the vessel is present in Danish waters. For certain claims, sister ship arrest may be made. However, for other claims (notably disputes concerning the ownership and mortgages over a vessel), only the vessel to which the claim relates is subject to arrest. Some of the ‘maritime claims’ listed in Section 91 also constitute maritime liens under Chapter 3 of the MSA, which is in part based on the 1967 Brussels Convention on Maritime Liens and Mortgages. Under Section 51 of the MSA, these include crew wages, port fees and duties, claims for damage arising out of the operation of the vessel and claims for salvage (but notably not claims for payment of bunkers supplied to the vessel). Maritime liens over cargo are listed in Section 61 of the MSA. Judicial sales of vessels are regulated by the general rules on judicial sales of personal property laid down in Chapters 49 and 50 (Sections 538 to 559) of the AJA. Rights over vessels, including maritime liens, are generally regulated by the MSA. In addition, arbitration awards can form the basis of execution under the same rules as judgments under (a) above with some exceptions (which are set out in Sections 38 and 39 of the AA). The execution is levied by the bailiff’s court against the vessel itself. Under Danish law, all creditors, not only the creditor who has arrested the vessel, may levy execution in the asset (vessel) as they are treated equally. As such, an arrest does not in itself give the arrest applicant a priority in the distribution of the proceeds of the sale. Denmark has ratified SOLAS and the Paris MOU, the latter requiring the contracting states to execute efficient port state control on ships from any state. The Danish Maritime Authority (the Authority) is responsible for port state control. In the event that a vessel does not comply with the applicable regulations, the Authority may order the owners to rectify any deficiencies. Under Sections 14 and 16 of the SSA, the Authority and the local port master may confiscate the vessel’s certificates and detain the vessel. When a vessel is registered to the DAS or the DIS, it becomes subject to Danish jurisdiction and is entitled to fly the Danish flag. It will also have to comply with Danish mandatory legislation. Danish vessels must be registered under the Danish flag.43 In order for a vessel to be considered Danish, the owner of the vessel must be (1) Danish, which will be the case if the owner is a Danish citizen, (2) a Danish public company (A/S), or (3) a limited company (ApS) with a board of directors of which at least two-thirds are Danish citizens resident in Denmark. No licences are required to establish a business in Denmark with the purpose of owning or commercially operating vessels. The criteria for registration with the DIS are less strict than for registration with the DAS. Also, registration with the DIS allows the vessel’s crew to exempt their wages from being subject to taxation. However, a vessel registered with the DIS may not transport passengers from one Danish port to another. Vessels in international trading may be registered to the DIS subject to certain requirements. Vessels not considered as Danish under the MSA (see above) may be registered to the DIS if the (foreign) owner fulfils two conditions.44 First, the owner must appoint a representative in Denmark who is authorised to accept service of legal documents and who may be contacted by authorities for inspection purposes. Second, the vessel must have ‘economic activity’ in Denmark. Since 1 January 2018, this condition can be fulfilled not only through the technical or commercial management being carried out from Denmark, but also if (1) the vessel fulfils the requirements to be covered by the tonnage tax regime (see above), or (2) the person who has applied for the vessel’s Document of Compliance (under the International Safety Management Code), such as the appointed representative, is established in Denmark. Through the latter option, a vessel may thus be registered in the DIS even though the actual ‘economic activity’ is not substantial in Denmark, which may open the way for a substantial increase of vessel registrations in the DIS. A legal entity in the European Union or the EEA that complies with the criteria for registration to the DIS may also make a bareboat registration to the DIS. A bareboat-registered vessel must be under the flag of an EU or EEA Member State. A bareboat registration may be granted for a maximum of five years; it may be prolonged by one year at a time. Bareboat registration to the DIS does not allow for other rights, such as mortgages, to be registered to the DIS. As at 1 March 2018, to register a ship to the DIS a fee of 0.1 per cent of the vessel’s value applies. The value of the vessel will be estimated either by the value stated in the bill of sale (if the vessel has recently been sold), or the market value of the vessel. The registration of a mortgage is also subject to payment of a registration fee of 0.1 per cent of the mortgage value. The government has recently put forward a proposal to abolish these registrations fees, which is yet to be adopted. Under Section 28 of the MSA, all rights over vessels (except for maritime liens and possessory liens, for which see Section 30) must be registered with the DAS to obtain protection against claims from, and acquisitions by, third parties. This also applies for vessels under construction. Under Section 10(3) of the MSA, vessels under construction in Denmark can be registered with the Danish Shipbuilding Register provided that the vessel can be easily and individually identified. Registration with the Shipbuilding Register is optional and the owner does not need to be Danish. When construction of the vessel is completed, the vessel must be deleted from the Shipbuilding Register and registered with the DAS or the DIS. There is some uncertainty as to whether classification societies will be subject to liability for negligence in carrying out their work; however, the exclusion of liability clauses in the terms and conditions of classification societies has not been set aside by the Danish courts. Ship source pollution and environmental damage is primarily governed by the MSA and the Protection of the Marine Environment Act (PMEA),46 while supplementary rules follow from, inter alia, the Environment Protection Act,47 the Environmental Damage Act,48 the Nature Protection Act49 and the Coastal Protection Act (CPA).50 These regimes incorporate the international conventions and EU Directives mentioned below into Danish law. Under Danish law, shipowners are generally strictly liable for ship-source pollution. The 1992 Convention on Civil Liability for Oil Pollution Damages (CLC) is implemented in Chapter 10 of the MSA. Danish law on liability for oil pollution differs to some extent from the CLC. The channelling provisions of the CLC are implemented in Danish law, albeit with some important changes as set out in Sections 193(2) and 193(3) on shipowners’ recourse claims against charterers and cargo owners. 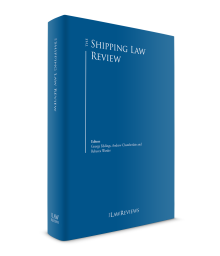 Danish law on recourse claims by shipowners is considered more onerous for charterers and cargo owners than Article III.4 of the CLC. Regulation (EC) No. 1013/2006 on shipments of waste (relevant to ship recycling). When the cause of a collision can be attributed to both of the vessels involved, liability for the damage is to be divided between the parties on the basis of each of party’s fault.52 In practice, this will often be based on discretionary assessments and is often divided into fractions such as one-half, one-third to two-thirds and one-quarter to three-quarters. If a collision is accidental without any fault by any of the parties involved, each party is responsible for the damage caused to its own ship. The rules on salvage are found in Chapter 16 of the MSA and are based on the 1989 Salvage Convention. It is a condition for a claim for payment for salvage that the salvaged item was in actual danger.53 When determining the payment for salvage, the circumstances listed in Section 446, Paragraphs (a) to (j) are to be considered. Generally speaking, salvage of between 5 per cent and 10 per cent of the value of the salvaged items is not unusual. The Danish authorities may, depending on the dangers and other circumstances relating to a wreck, order the removal of the wreck or demand reimbursement for any government expenses incurred in connection with wreck removal, pursuant to either the CPA, the PMEA, the Act on Additions to the Act on Wreckage55 or Chapter 8a of the MSA, which incorporates the 2007 Nairobi International Convention on the Removal of Wrecks. According to Sections 164(2) and 172(1)(4) of the MSA, a shipowner may limit its liability for wreck removal in accordance with the general limitation rules set out in Chapter 9 of the MSA. The rights of passengers travelling by sea or inland waterways are regulated by Regulation (EU) No. 1177/2010, including with regard to cancellation and delay of more than 90 minutes to and from ports situated in the European Union and cruises departing from an EU port. The Regulation provides additional rights for disabled persons and persons with limited mobility. The PLR governs the liability of carriers of passengers in the event of accidents based on the Athens Convention. It applies to all carriers involved in international carriage, including carriage between EU Member States and some types of domestic carriage. Sections 401 to 432 of the MSA contain provisions regarding passengers’ rights, including claims relating to delay. Note, however, that the majority of regulations regarding passengers’ rights are to be found in the PLR and not in the MSA. The rights of Danish seafarers are regulated by the Seafarers Act.56 The purpose of the Act is to protect seafarers by ensuring proper conditions of employment and to contain provisions on standards for employment contracts, rest hours, the right to return home and sickness. Denmark is a party to the Maritime Labour Convention (MLC), which became effective on 20 August 2013. At least one vessel has been detained by the Danish Maritime Authority on violations of the MLC. As at December 2017, Danish shipowners had 104 vessels on order.57 This level of investment indicates an opportunistic approach to the headwinds in the shipping industry among Danish shipowners. Danish shipowners would be in a good position to take advantage of any reversal of the downturn in the shipping cycle, as the new vessels are more efficient than the existing fleet. 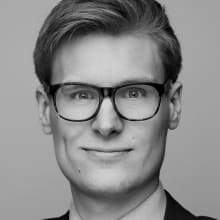 1 Jens V Mathiasen is a partner and Thomas E Christensen is an attorney at Gorrissen Federspiel. 2 ‘Danish Shipping Statistics December 2017’, pages 4 and 5, published by the Danish Shipowners’ Association: see www.shipowners.dk. 4 ‘Danish Shipping Facts and Figures’, December 2017, page 10. 5 Report (‘Blue Denmark Commerce Competence Cooperation’) available at www.dma.dk. 6 ‘Danish Shipping Facts and Figures’, December 2017, page 6. 7 Report of 2017 made by The Economic Council of the Labour Movement (in Danish, Arbejderbevægelsens Erhvervsråd) prepared on behalf of the Danish Maritime Authority, see www.dma.dk. 8 Consolidated Act No. 75 of 17 January 2014 as last amended by Act No. 1548 of 19 December 2017. For an English translation of the Merchant Shipping Act, see www.dma.dk. 9 Consolidated Act No. 1101 of 22 September 2017, as last amended by Act No. 670 of 8 June 2017. 10 See Section 225 of the Administration of Justice Act (AJA). 11 See Section 368 of the AJA. 12 See Act on the Brussels I Regulation No. 1563 of 20 December 2006 as amended by Act No. 518 of 28 May 2013. 13 See Section 3 of the Limitation Act. 14 Consolidated Act No. 1238 of 9 November 2015. 16 Act No. 553 of 24 June 2005 as amended by Act No. 106 of 26 February 2008. 17 See Articles 39 and 45 of the Brussels I bis Regulation. 18 See Article 34 of the Lugano Convention (Convention on jurisdiction and the recognition and enforcement of judgments in civil and commercial matters); see Act on the Brussels I Regulation No. 1563 of 20 December 2006 as amended by Act No. 518 of 28 May 2013. 19 Sections 37 and 38 of the AA. 20 Consolidated Act No. 140 of 17 February 2014. 21 See Section 274(1) of the MSA. 22 The exemptions are incorporated from the Hague-Visby Rules and the Hamburg Rules. 23 See Section 275(2) of the MSA. 24 See Section 275(3) of the MSA. 25 See Section 276 of the MSA. 26 See Section 276(2) of the MSA. 27 See Sections 280 to 283 of the MSA. 28 See Section 171 of the MSA. 29 See Section 172(2) of the MSA. 30 See Section 175 of the MSA. 31 Executive Order No. 13 of 13 January 2015. 32 The limits for liability for vessels of 300 tonnes or less is set out in Ministerial Order No. 1267 of 7 November 2013. 33 Regulation (EC) No. 392/2009 on the liability of carriers of passengers by sea in the event of accidents. 34 See Section 639 of the AJA. 35 See Section 634 of the AJA. 37 See Section 539 of the AJA. 38 See Section 28(1) of the MSA. 39 Consolidated Act No. 72 of 17 January 2014 as last amended by Act No. 1546 of 19 December 2017. 40 Consolidated Act No. 74 of 17 January 2014 as amended by Act No. 400 of 2 May 2016. 41 Consolidated Act No. 68 of 17 January 2014. 42 Consolidated Act No. 945 of 6 August 2015, as last amended by Act No. 1555 of 19 December 2017. 43 See Section 10 of the MSA. 44 Executive Order No. 1654 of 20 December 2017. 45 Agreement Governing the Authorisation of [Recognised Organisation (RO)] to undertake Statutory Certification Services on behalf of the Danish Maritime Authority Danish RO-Agreement 2015. 46 Consolidated Act No. ۱۰۳۳ of ۴ April ۲۰۱۷, as last amended by Act No. ۴۶۳ of ۱۵ May ۲۰۱۷. 47 Consolidated Act No. 966 of 23 June 2017, as last amended by Act No. 45 of 23 January 2018. 48 Consolidated Act No. 277 of 27 March 2017. 50 Consolidated Act No. 78 of 19 January 2017, as last amended by Act No. 16 of 23 January 2018. 51 See Section 161(1) of the MSA. 52 See Section 161(2) of the MSA. 53 See Section 441(a) of the MSA. 54 See Section 449 of the MSA. 55 Consolidated Act No. 838 of 10 August 2009 as amended by Act No. 1384 of 23 December 2012. 56 Consolidated Act No. 72 of 17 January 2014 as last amended by Act No. 1546 of 19 December 2017. 57 ‘Danish Shipping Facts and Figures’, December 2017, page 19.